New personal reference monitors with low volume precision are designed for near field listening in a variety of recording environments. Dynaudio has introduced the LYD series, a new range of personal reference monitors with low volume precision designed for near field listening in a variety of recording environments. The LYD 5 is the manufacturer’s small-format monitor, ideally suited for smaller setups and home studios. The LYD series uses lightweight aluminium wire and voice coils in its handmade drive units, along with a Class-D amplifier with a 96 kHz/24bit signal path and digital signal processing. 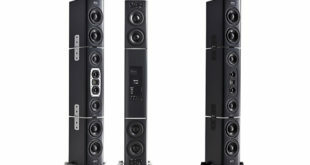 The LYD 7 uses advanced DSP to extend or curtail the low-frequency response by 10Hz where needed while its larger woofer helps extend bass response compared to its smaller sibling. The LYD 8 is the largest in the series with its 8” MSP woofer and advanced DSP, also designed for smaller studios and home setups. “We went back to the drawing board with LYD. We looked at everything that made our monitors great in the past, but also, at what we can achieve with the new platforms we have developed over recent years. 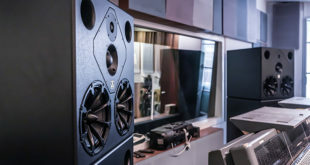 In the end, we want to give all artists and engineers the best possible tool to help them achieve their best results – to redefine their music as we have redefined our monitors – and I believe LYD delivers exactly that,” said Sebastian Rodens, product manager at Dynaudio. 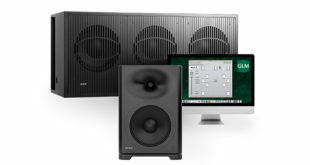 To offer choices and opportunities for musicians, producers, and artists; the LYD series’ advanced DSP with two tuning presets offers options for different setups, sound balance filters for adjusting the frequency response, and bass extension for moving the bass cut-off to the preferred position.